With over 100 years of experience and relationships with over 30 carriers, V.W. Gould Agency, Inc. has the knowledge and partnerships to assist you in attaining the right coverage for your business. Founded by V.W. Gould Senior in 1907, our company has experienced over 100 years of growth through quality service and exceptional product offerings. Our agents are here to assist and guide you through every step to ensure that you receive the right business insurance product for your specific needs. 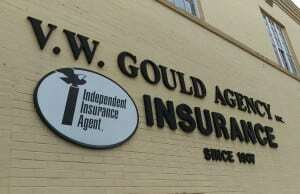 Gould can accommodate all of your business and commercial insurance needs. It is important to solidify the longevity of your business with adequate liability and property coverage so that you may operate your business with peace of mind. There is no business exactly like yours, and you can’t afford to waste money on a one size fits all insurance policy. At Gould we can assist you in attaining an the right business insurance by analyzing your unique needs and putting together an insurance plan to match.